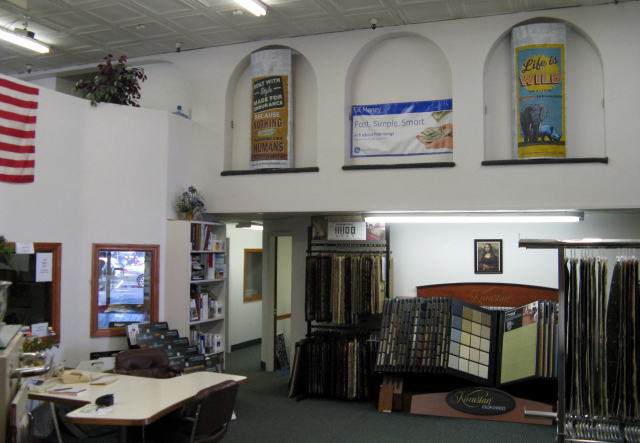 Durkins Carpeting & Interiors, Inc.
No interior problem is exactly the same, but it is very likely that Durkin`s has gone down most all roads over the past 62 years. When it comes to estimating, selection of materials, coordinating colors, budgets, scheduling and helping you get the job done ... because we have been there before! Yes, we can save you time and money the Durkin`s way! The team at Durkins Carpeting & Interiors, Incorporated and Merrimac Rug @ Durkin`s is thankful for our many long-time customers and friends, who have indeed made our business grow. We believe you should buy products and services from people you can trust so that you may receive the service and support necessary to make your purchase an enjoyable one.